The Lung Cancer Research Network operates as an unincorporated organisation, with a Scientific Advisory Committee as its peak body. This Committee brings health, academic and research experts together for the purposes of communication, research and research translation. The Committee’s purpose is to oversee the aims and responsibilities of the network and to champion new research initiatives. This includes coordinating multi-center grant applications, research studies and big picture initiatives. The committee is responsible for collating activities across the network and reporting major research findings and news to the Network and wider community. The committee will work with the Centre for Lung Cancer Research regarding open access to facilities for core research initiatives. 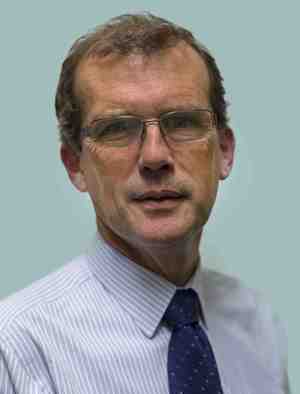 Professor Matthew Peters is a Respiratory Physician and Head of Respiratory Medicine at Concord Hospital. He holds Academic appointments at Macquarie University and Sydney University and has had a longterm interest in lung cancer research. Prof Peters has a focus on preventative health and was Chair of Action on Smoking and Health (ASH) for many years. Prof Peters is a past President of the Thoracic Society of Australia and New Zealand. Professor Paul Young is Deputy Executive Director & Head of Respiratory Technology at the Woolcock Institute and Professor of Respiratory Technology at the Sydney Medical School, University of Sydney. Paul has has made a significant contribution in the field of advanced drug delivery and inhalation science. Paul's research focussing on developing innovative therapies and medical devices for the treatment of a number of respiratory diseases including lung cancer. Paul was an Australian Research Council Future Fellow and is a Chartered Chemist of the Australian Royal Society of Chemistry. Lillian Leigh is a Sydney lawyer, wife and mother. For over a decade as a consumer advocate, Lillian provided legal services to disadvantaged people in Australia. When she was diagnosed in her early 30’s with a rare lung cancer, advocacy for lung and rare cancers became her new passion. Lillian is a consumer member of Cancer Australia's Priority-driven Collaborative Cancer Research Scheme (PdCCRS) Grant Review Committee, the Australasian Lung cancer Trials Group, and Lung Foundation Australia's Patient Advisory Committee. She is also a volunteer advocate for Rare Cancers Australia and Cancer Council NSW. In December 2016, Lillian received a Patient Advocacy Award at the 17th World Conference on Lung Cancer Conference in Vienna. A/Prof Wendy Cooper is an anatomical and molecular pathologist who works at Royal Prince Alfred Hospital in Sydney, Australia and has a special clinical and research interest in lung cancer. She is a Clinical Associate Professor at the University of Sydney, Conjoint Associate Professor at the University of Western Sydney and a Visiting Scientist at the Garvan Institute of Medical Research for the Lung Cancer Project of the translational research cancer program. Wendy is a member of Lung Expert Group that developed the Lung Cancer Structured Reporting Protocol for the Royal College of Pathologists of Australasia and is a member of the Multidisciplinary working party revising Clinical Practice Guidelines for the Prevention, Diagnosis and Management of Lung Cancer for Cancer Council Australia. Professor Neil Watkins is a physician-scientist involved in full time basic and translational research for the last 15 years. After completing medical school (1987), physician training (1994) and a PhD (1998) in Perth, he moved to the Johns Hopkins Kimmel Cancer Centre, where he reached the rank of Associate Professor of Oncology. In 2009, he returned to Australia to take up the post of Professor of Cancer Biology at Monash University. In January 2014, he moved to Sydney to take up the Inaugural Petre Foundation Chair in Cancer Biology at the at the Garvan Institute of Medical Research, where his new research program will focus on lung cancer. In the US, Dr Watkins’ work was supported by the NIH (R01 as PI, P01/SPORE as Co-PI). In Australia, he has received 4 NHMRC Project Grants as CIA, 2 as CIB and 2 as CIC. In addition, he was the lead investigator of the Victorian Lung Cancer Initiative, a $3 millon program grant supported by the Victorian Cancer Agency. Since 2009, Dr Watkins has peer reviewed an average of 8 articles per year for journals such including Cancer Res, Gene Dev, Clin Cancer Res, Mol Cancer Res, Mol Cancer Therap, Thorax, Genome Med, and Cell Death Differ. He served also on the NHMRC Oncology and Cancer Biology GRP in 2012-16. Dr Richard Walton Biostatistician and clinical epidemiologist involved in the design, analysis and interpretation of observational, safety and registry based studies. I work as the manager of the Cancer Information and Analysis unit at the Cancer Institute NSW. I have worked in public health, academia and the pharmaceutical industry across a range of therapeutic areas and disease domains. My interests are in statistical methodology, scientific communication and the intersection between statistics, clinical research and decision making and policy. Professor Des R. Richardson holds the Chair of Cancer Cell Biology at the University of Sydney and is an NHMRC Senior Principal Research Fellow. He is Director of Molecular Pharmacology and Pathology Program at the Department of Pathology and Bosch Institute, University of Sydney. He holds also several international posts in the universities in North America, Europe, and Asia. His research interests span pharmacology, medicinal chemistry (drug development), metabolism, cell biology, biochemistry, and molecular biology. Recently, he has designed, developed and commercialised an anti-cancer agent, DpC, that has entered multi-centre clinical trials. Prof. Richardson published more than 400 peer-reviewed articles, chapters, patents, etc., which have been cited > 18,000 times over his career (8500 citations over the past 5 years). Dale Bailey PhD FIPEM FACPSEM ARCP (Lond.) CSci (UK) is Principal Physicist in the Department of Nuclear Medicine, Royal North Shore Hospital, Sydney and Professor of Medical Radiation Sciences at the University of Sydney. He has published over 130 peer-reviewed scientific articles and edited four textbooks. He is the currently project leader for the Neuro-Endocrine Tumour programme (“NETwork”) of Sydney Vital – the Northern Translational Cancer Research Centre, Sydney. His main area of interest has been in the development of quantitative techniques using imaging of in vivo radionuclide tracers in both SPECT (single photon emission computed tomography) and PET (positron emission tomography) and, more recently, internal radionuclide dosimetry. Dale is currently a CI for a number of grants including studying the micro-vascular changes in pulmonary arterial hypertension using ventilation & perfusion SPECT and improving imaging and dosimetry techniques in selective internal radionuclide therapy (SIRT) in liver cancer treated with SIR-Spheres using SPECT & PET. CIE A/Prof Lucy Morgan is a Clinical Associate Professor at Concord Clinical School and the University of Sydney. A/Prof Morgan has been an active member of MDT Lung Cancer groups at Concord and Nepean Hospitals for 20 years (both tertiary referral centres and teaching hospitals for USYD). She is an active educator and trainer of young Lung Cancer Doctors, as a diagnostician of new and metastatic lung cancers in her role as a Respiratory Physician who can biopsy endobronchial, lymph node and pleural lesions. As a researcher, A/Prof Morgan has experience with big data sets, bio-banking and correlating clinical outcomes from well clinically characterised patient groups. She is familiar with respiratory epithelial tissue culture techniques and is a capable interventional pulmonologist. A/Prof Morgan has strong ties with colleagues in medical research institutions, thoracic surgery, medical oncology, radiation oncology, palliative medicine and primary care. She has a strong track record in involvement in guideline writing, working parties and collaborative research. A/Prof Morgan has published over 30 research articles within high impact journals within her field and a number of book chapters in the area of respiratory ciliary dysfunction and embolic disease of the lungs. A/Prof Morgan is associate investigator in three current grants including NH&MRC, European FP7 and COST. She is currently a primary investigator on two large multi-centre clinical trials. I am a staff specialist in medical oncology at Chris O’Brien Lifehouse (COBL) and also have a position as a research fellow at the Asbestos Diseases Research Institute (ADRI). In my medical oncology practice I specialise in the management of thoracic cancer patients. I am also very actively involved in clinical trials in the oncology setting, both investigator initiated and pharmaceutical. I completed my PhD in 2013 at the ADRI, where my research focuses on thoracic lung cancers, particularly malignant mesothelioma (MM). I have been instrumental in the development of the mesothelioma biobank and integrated database at the institute. As an early career researcher I have been chief investigator on a number of successful research grants, with over $5.25m of competitive funding and over 50 publications in total, including over 35 original articles in peer-reviewed journals. In recognition of my research achievements I have received three Cancer Institute NSW Premier’s Awards for Outstanding Cancer Research: in 2014 for Excellence in Translational Research as a member of a multidisciplinary team investigating mesothelioma; in 2012 for Outstanding Cancer Research Scholar; and in 2011 I received the International Studentship Award (PORUS fellowship).